Lately, I've been thinking about crawling. Baby Kate has recently learned. I watch her zip around the room, and then swivel and sit around in her new location. We're all careful that she doesn't get hurt, or bump her head on coffee table poles, or couch ends. 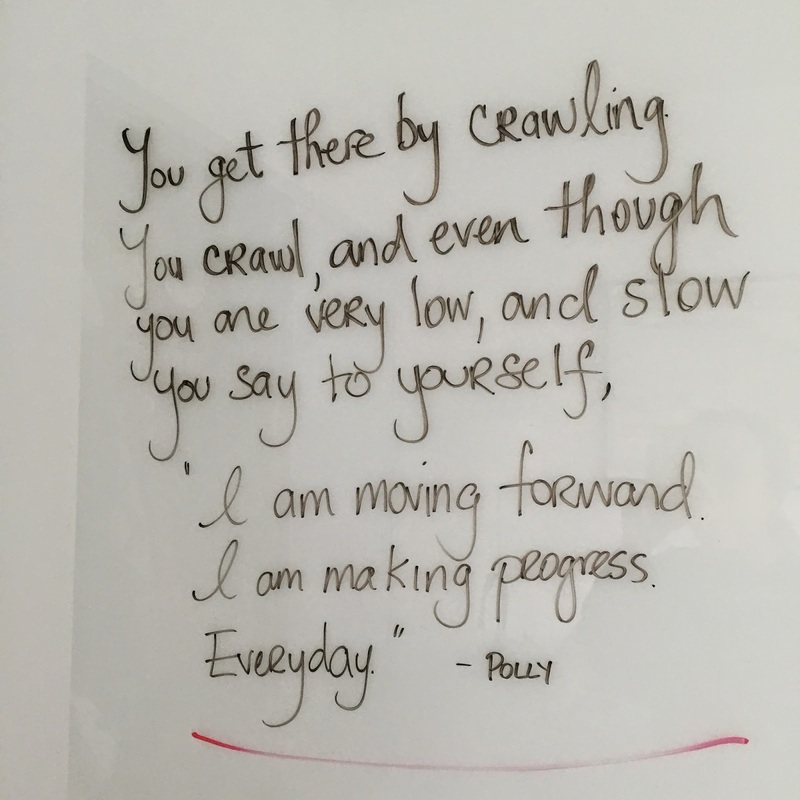 Although I learned to crawl many years ago, this month, I had to learn again. There was no one to protect me from the bumps, except that perhaps I needed to slam into a few things before getting to my destination. (And I'm still not there). These days, I use my apartment sliding doors to write notes, quotes, To-Do lists, and other things I find inspiring, so when I wake up, I see where I need to be. I've been reading Nymag's "Ask Polly" advice column for awhile now, and this week's mantra comes from it.